INDIANAPOLIS – Gov.-elect Eric Holcomb laid out the five pillars of his legislative agenda Wednesday but is saving the details for a Jan. 5 release. "There will be more meat on the bones," he said after addressing the Bingham Greenebaum Doll Legislative Conference. 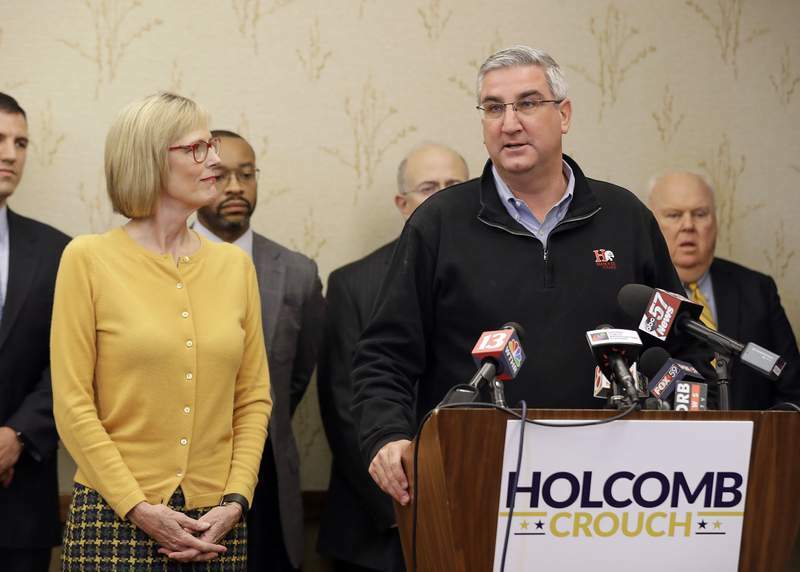 Holcomb plans to receive agency transition reports next week to put the finishing touches on his ideas. The General Assembly returns Jan. 3, and Holcomb, currently lieutenant governor, will be sworn in Jan. 9. • Keep a relentless focus on the economy and making Indiana a jobs magnet. "If we are not growing as a state that opportunity will elude us for progress." • Pass a long-term, data-driven – not politically driven – infrastructure plan. He said it will be a 20-year program and focus on transformational projects such as a fourth port, upgrading U.S. 31 to an interstate-quality road and double-tracking the South Shore Line. • Educate, recruit, train and retrain the workforce. Holcomb said this ranges from an expanded prekindergarten program all the way to retirement. • Holcomb said, "we’re going to have to kill the drug epidemic." • Deliver good state government at a great taxpayer value. Holcomb so far has appointed few agency heads but he said that should pick up now with announcements daily. And he didn’t seem concerned with what some consider a slow pace to his transition. "I want to make sure we get it right; … don’t rush anything if you don’t have to," he said. Holcomb also announced his legislative director will be Allison Karns, a policy director for public safety for Gov. Mike Pence. Indiana Democratic Party Chairman John Zody criticized Holcomb for a lack of urgency and lack of details. "The November 8 election is behind us, but our problems are not," a statement said. "As the legislative session approaches, I hope Governor-elect Holcomb and Statehouse Republicans will realize the urgency of our state’s challenges, or Indiana will continue to fall behind the rest of the nation." The event opened with John Gregg – whom Holcomb defeated for the governor’s post in November – introducing Holcomb to the group. Gregg is a partner at the law firm putting on the annual conference. "I had planned to be here today," Gregg joked. He then gave a complimentary intro and ended by saying "while he was my adversary, he was never my enemy." Holcomb said Gregg should go on the road with him and thanked him for overly kind remarks. "All things considered, that could have gone in a much different direction," he said.